﻿"The author’s novel boasts equal servings of excitement, suspense and humor... [He] Tackles multiple genres—thriller, action, comedy—and champions each one with panache." 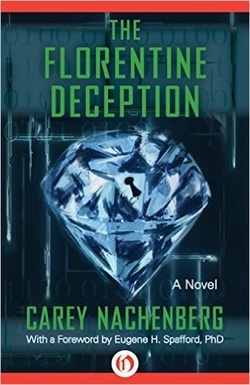 "I truly believe that curious InfoSec professionals will find The Florentine Deception fun and informative, making it a logical addition to the Cybersecurity Canon." "An enjoyable adventure-type story with an interesting plot, lots of action and some nice humor... you do not need a profound knowledge of computer science to follow the story." "The narration was done by Nick Podehl, and holy crap does he kill it... Overall, a wonderful technothriller that was full of twists and turns that had me begging for more."